Example Tip: When we have children notice the pattern in a story, we help them understand how some stories work. This helps them predict what might happen next and helps them understand the story. To support vocabulary, there are many words to choose from to explain—anchor, trim, soupy, bind, plaster, cushion, brittle, tufted, fledglings. Example Tip for Vocabulary: When we explain a word, rather than replace the word with an easier word, we build our children’s vocabulary which will later help them understand what they read. You could also talk about how the baby birds in the nest feel—worried, scared. Or you might use the word apprehensive, uncertain. This helps to develop both children’s vocabulary and their background knowledge, when you help them relate these emotions to their lives. 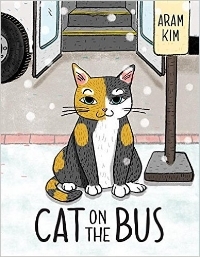 Introduction: Our next book is Cat on the Bus by Aram Kim. This book is almost wordless, hardly any words, so you can help me tell the story from the pictures. We are going to look carefully at the faces of the characters, the cat, the man, and the girl. I would like you to tell me how you think they are feeling. Example Aside: Background Knowledge: When we relate something in the story to the child's own experiences, we help them make the connection between the story and themselves which helps them understand the story. Using yarn and paper and/or fabric, sew a pocket. This can go with books like Pouch by David Stein or There's a Wocket in my Pocket by Dr. Seuss. Early Literacy Aside: Example Aside--Writing: When we do crafts like this, using scissors and lacing, children are developing fine motor skills, strengthening the muscles they need for writing! If you would like to write a letter on the pocket, P for pocket or the first letter in their name, for example, then they would be learning letters as well! 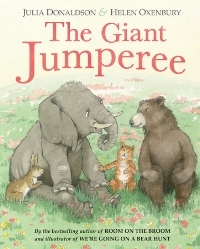 Introduction: Our next book The Giant Jumperee by Julia Donaldson and Helen Oxenbury has some animals in it. What animals do you see on the cover? What does it look like the animals are doing? In this book, someone is saying "I'm the giant jumperee" in a very loud voice. Can you say that? Let me hear you. [Practice a couple of times.] Great! Now let's see what is happening in this story. Read the book, having participants join in with the repeated phrase. Go back to the pages that say the cat slunk and the bear swaggered. Talk about what does slunk mean? What does swagger mean? How would the cat slink, or the bear swagger? You may ask them to show actions for these words. How is it different from walking? Early Literacy Aside--Example--Vocabulary: Adults, when we help children understand the meanings of words, like by having them act them out and by discussing differences between words with similar meanings, we are helping to develop their vocabulary which will help them later understand what they read. At the end of storytime, have the children and adults slink or swagger out of storytime. I'd like you to help me with reading this book. The monkey is getting some exercise and does somemovements to sounds. So, when it says the rhythm of the head, the sound is ding-dong and we move our head from side to side. Let me see you do that. Great! When it says rhythm of the hands, then we clap twice, clap clap. Try that. Great! For the feet, it says stomp stomp, so stomp your feet twice. Good! And then for the rhythm of the hips, it says shake, shake so wiggle your hips. OK! Let's try it. [Read the book, having them join in. Repeat the movements in sequence till the children are comfortable with it--the page with ding dong, clap clap, stomp stomp, shake shake] Yay! You got the pattern--ding dong, clap clap, stomp stomp, shake shake! Early Learning Aside--Example--Math Concepts--Patterns: Adults, in math, a repeated sequence is a pattern. When we did the repeated motions over and again, they could notice the pattern and begin to anticipate what comes next. This fun activity and book helps to build math skills! Early Learning Aside--Empower: You can notice patterns or make up movement and clapping patterns throughout the day. Lots of fun and builds math skills, too. Read the book, pointing out and asking children to point out some of the shapes. Early Literacy Aside--Example: Did you know--recognizing shapes is a first step to recognizing and writing letters, because researchers have found that children actually identify letters by their shapes. 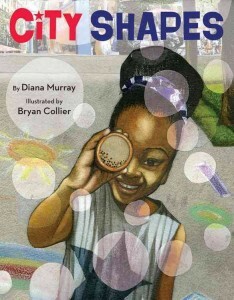 And this book has so many possibilities for recognizing shapes, from toddlers to school-age children. Early Literacy Aside--Empower: When we talk about shapes all around us, throughout the day, we help our children become more aware of shapes which will support their letter knowledge. Writing Activity: Have children draw a picture of whatever they like, can be related to the book. Early Literacy Aside--Example: Adults, as your children are drawing and talking about their picture, talk with them about the shapes they see in the picture. Helping them be aware of shapes will also them identify and write letters. Early Literacy Aside--Example: Background Knowledge--Conceptual Thinking: Adults, we might often use words that are opposite like big and small or up and down. However, also pointing out that these ARE opposites helps children learn the concept of opposite which builds their understanding about the world around them, and also their comprehension when they later read these words. 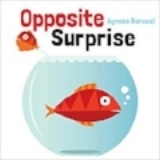 Early Literacy Aside--Example: Vocabulary: Adults, when we use the word opposite with words that are opposites, we are helping to build children's vocabulary which will later help them understand what they read. Early Literacy Aside--Empower: Adults, you certainly don't need a book about opposites to talk about opposites. As you are playing with your children, even lifting them up and down, feeling tired or rested/refreshed, or in the bathtub--float and sink--there are many opportunities throughout the day to talk about opposites which helps your children understand their world. This book can is a good one for mixed age groups. It can be understood on many levels. Even adults will enjoy the humor in the "Lost" signs, such as "Anyone see an elephant in the room?" or "Lost track of time." Introduction: Here is a story called Found written by Salina Yoon. I see Bear on the cover. What do you think he has found? Yes, a bunny, a stuffed animal bunny rabbit. Let's see what happens when Bear tries to find bunny's home. Read the book. On the page with all the Lost signs, read some of them, pointing to the text. Early Literacy Tip--Example: [After reading the book, go back to the page with the lost signs. Point to and read a couple of the signs.] Pointing out the words in signs is one great way to help children develop print awareness, that print has meaning, that we are reading the text, not the pictures. This will make it easier for them to focus on the text when they learn to read. 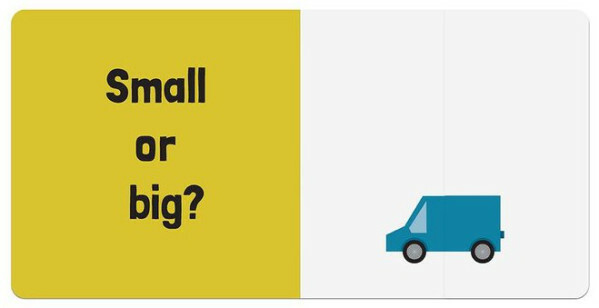 Early Literacy Tip--Empower: Whenever you see signs, as you are driving, walking, at a store, pointing out what the text says is one way to help your children develop print awareness, one of the pre-reading skills they need to learn to read. Here is a sample handout on math concepts for parents/caregivers. It is available in Word so you can edit it. However, sometimes the text and graphics get scrambled in Word, so there is a pdf version here as well. The idea is that you can copy them back-to-back and then cut in half, so you get two handouts per sheet. One side is the general information on math concepts. The other side (half the sheet) you would edit to reflect whatever concept and activities you are doing in a particular storytime and an idea to keep it going after storytime is over. Early Literacy Aside--Example: Adults, when we talk with our children, even our young children, about factual information, we help them learn about the world. This introduces them to the background knowledge they will need to later understand what they read. Even if they do not understand everything we say, it is still important to share the information with them. Early Literacy Aside--Empower: Adults, you do not need a book to share factual information with your children. As you are doing things together or going places together, share information you know about any topic of interest. You are building your child's background knowledge about the world which helps with comprehension. And! they are so very curious about the world. Introduction: Our next book is called Over in the Arctic Where the Cold Winds Blow by Marianne Berkes. We can make the actions and sounds of the animals as we go along. Read or Sing the book. After completing the book, come back to the page with the owls. There are some interesting words on this page. There is a mother snowy owl. What color is the owl? And her little owlets seven. A baby owl is called an owlet. Let's say that together. It says here that the owls glide. Let me see how the mother owl glides (Let them show you wide wings with their arms). And how does a baby owlet glide? (wings/arms not so wide). What does flying look like? What does gliding look like? (more smooth, soar) and what does swooping look like? (from high to low--plunging, lunging, diving). Early Literacy Aside--Example: Songs can give us words we might not hear in regular conversation. 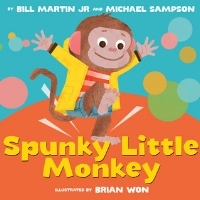 In this book, having fun with the action words can help children distinguish between words of similar meanings. This helps children learn small differences in the meanings of words which builds their vocabulary and helps them later understand what they read. Introduction: Our next book is Zoom, Zoom, Baby by Karen Katz. In this book there are many environmental sounds, sounds we hear around us. We can say these sounds together. Let's practice first (children and adults say each sound together, adding repetitions till they are comfortable with saying the sounds--the boat goes putt-putt; the bus goes beep! beep, the plane goes whoosh-whoosh, the train goes choo-choo; the truck goes rumble-rumble; and the car goes zoom-zoom. OK! let's read this book all together. Early Literacy Aside--Empower: Adults, remember the book Zoom, Zoom, Baby by Karen Katz, which I read earlier? You can talk about the sounds you hear at home and as you go about your errands, even without a book. Helping your children become more aware of sounds will help them later hear those smaller sounds in words which will help them sound out words as they learn to read. Yes! It does start early. Introduction: Our next book is a very brightly colored one with clear pictures, which makes it easier for babies to focus on the pictures. It's called My House by Byron Barton. As I read this book, I will also point out and name some of the shapes in the pictures. Read the book. [Talk about shapes on a page or two. For example on the page "This is the inside of my house,"] Look at Jim the cat's eyes. What shape are they? Yes, circles. And here you can see the colors of the rug. Each color is an oval. It is curved like a circle, but is longer. 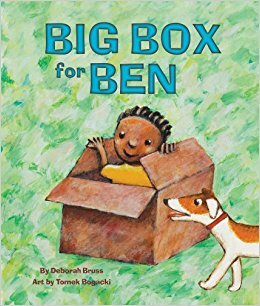 Early Literacy Aside--Example (after reading book): When we talk about shapes with children we help them recognize shapes. Researchers have noted that children recognize letters by their shapes, so learning shapes is a first step to letter knowledge, which they need to decode words when they learn to read. Early Learning Aside for Math: When we talk about shapes with children, we are helping them develop their geometry skills which is one of the math concepts needed to do well in math. Early Literacy Aside--Empower: Adults, you can talk about shapes all around you throughout the day, even without a book. Many children love to notice shapes and point them out to you. Isn't it great knowing that such a fun activity is also helping them to later recognize their letters! Early Literacy Aside: Playing is a great way to build children's language. By following your child's lead, giving them time to express their ideas and think imaginatively, asking open-ended questions, adding new words and description, you give them opportunities to build their vocabulary, to think of stories, and to understand the world around them. All these skills contribute to later helping them understand what they read. Introduction: Our next book is called Hooray for Hat by Brian Won. In this book each of the animals is grumpy until they get a wonderful hat. Then when Elephant gives each animal a hat they all say "Hooray for hat." You can help me tell the story by saying "Hooray for hat." Let's practice saying "Hooray for hat." Good! Now I have a flannel board of this same book. You already said "Hooray for hat," and now you can help tell the whole story! [Put up pieces on the flannel board, pausing for the children to tell you what comes next, and to say as much of the story as they can. Early Literacy Aside--Example: Adults, we help children retell stories, they can remember it more easily, and they also are learning how stories work--what happens first, next, and last--and phrases that are repeated. Learning how stories work will make it easier for them to both understand stories when they read them and even to write stories when they are asked to do so in school. Introduction: Our next book is called Hooray for Hat by Brian Won. In this book each of the animals is grumpy until they get a wonderful hat. Each time an animal gets a hat, the animals say "Hooray for hat!" So, I would like you to say with me "hooray for hat." We are going to clap for each word. So, three claps--hooray--for--hat. Let's practice saying and clapping the words "Hooray for hat." Very good. Ok, here comes the story. Introduction: Our next book is called Hooray for Hat by Brian Won. In this book each of the animals is grumpy until they get a wonderful hat. This book has a lot of repetition so I would like you to help tell the story with me. In fact, you might notice there is a pattern to what is happening. First an animal is grumpy, then Elephant gives the grumpy animal a hat, and the animal smiles and they cheer "Hooray for hat!" So, I would like you to say with me "hooray for hat." You'll know when it is coming because it will be after the animal smiles and then they cheer. Let's practice saying "Hooray for hat." Very good. Ok, here comes the story. Early Learning Aside--Example: Adults, when I started this book, I pointed out that there is a pattern the children can follow to help them know what comes next, so they would know when to say Hooray for hat. When we point out patterns we notice, or help our children notice patterns, we are helping them develop one of the math skills--geometry and patterns--which will later make it easier for them to understand math concepts. Introduction: How many of you have ever tasted honey? What does it taste like? Do any of you know how honey is made? How? 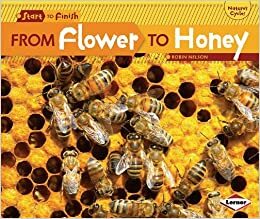 In our next book, called From Flower to Honey by Robin Nelson, we can find out in more detail about how honey is made. Let's see what it says. Read the book, shortening if necessary. Share some of the Table of Contents and point out Glossary at the back. 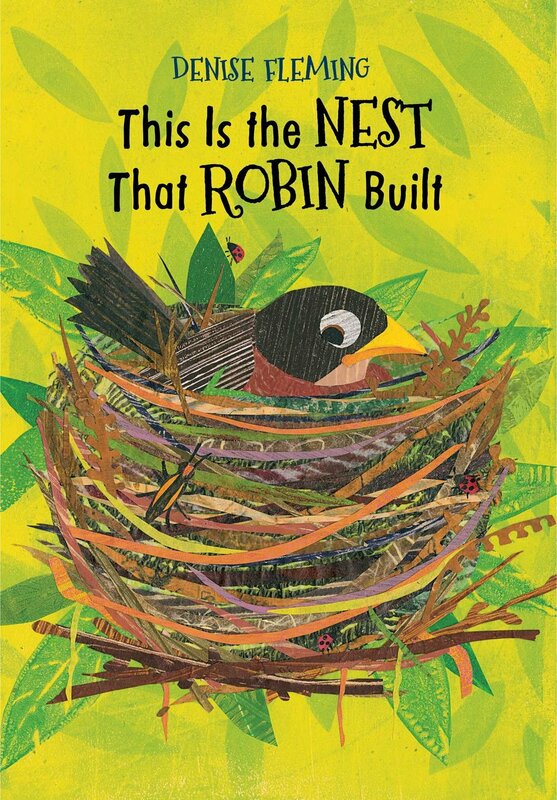 Early Literacy Aside--Example: When we share factual books with children, we show them that books can be used for different purposes, stories as well as learning about the world. When we point out features like the table of contents and the glossary, it helps them learn how different kinds of books work. Introduction: In this book, The Bus For Us by Suzanne Bloom, you will be helping me tell the story by saying this sentence throughout the book, "Is this the bus for us, Gus?" [Point out Gus as the boy on the cover. Practice saying the phrase together. Early Literacy Aside--Example: Adults, when we point to words as the children say them, we develop their print awareness, helping them understand that the words we are saying is what is written in the text. This helps them understand how reading works and will help them later focus on the words as they learn to read. Early Literacy Aside--Example: Adults, in our next book there are many words written in bold and large letters. I will be pointing to these words and saying them more loudly, and encouraging you all to say them along with me. By pointing out these words, we help children notice the text which will help them later focus on the text when they learn to read. Read Don't Wake Up the Tiger and point out some of the words in bold, saying them more loudly, with emphasis. Point to the words as you have children repeat some of them. You can sing "Happy Birthday" to Tiger. If you like, you can make or bring in a happy birthday banner, or use the flannel board to spell out happy birthday.